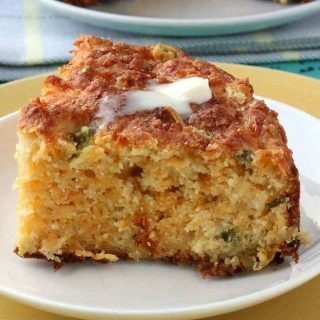 Cornbread is one of my favorite recipes – add it with some homemade chili or taco soup for the perfect meal! 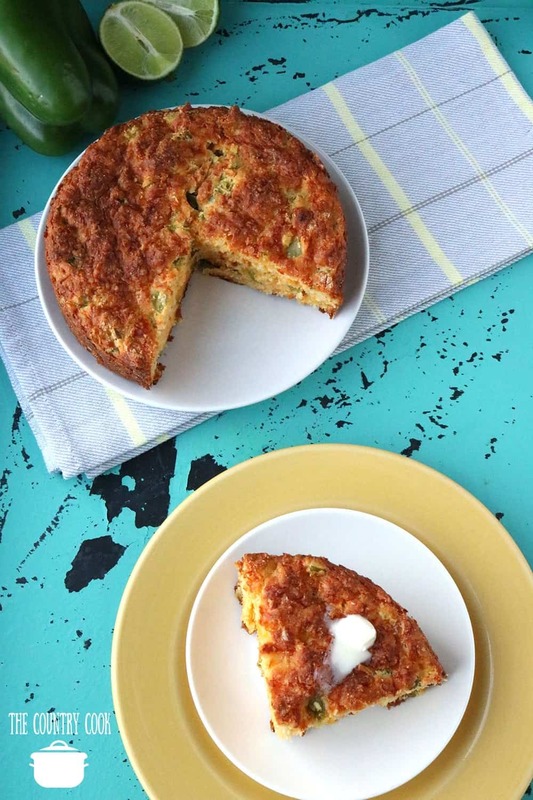 This mexican-style cornbread adds an added flavor profile to an already delicious favorite! You will want to try this as it is so moist, delicious, and so full of flavor with a mexican twist! 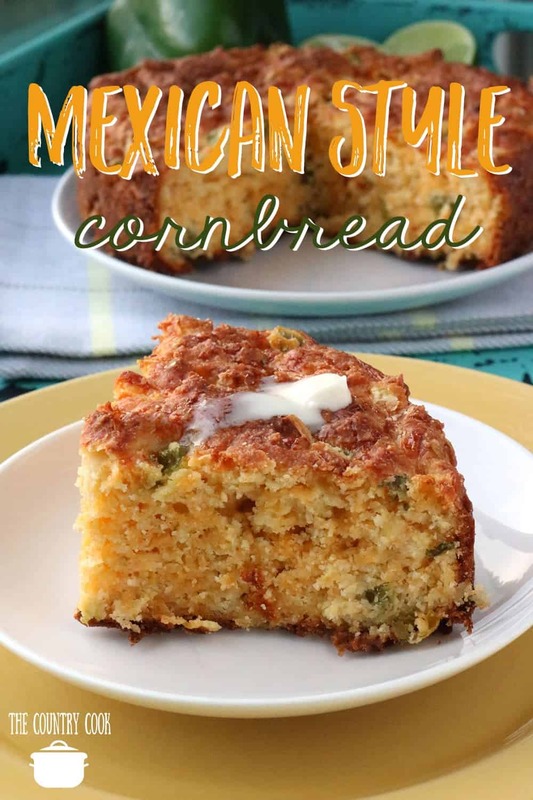 Just follow the easy step by step directions below for your mexican-style cornbread recipe! You’ll be making this cornbread recipe all the time once you make this – guaranteed! What I really love about this cornbread recipe is how simple it is! Adding a mexican twist may sound like there’s alot involved – but it’s SO EASY! 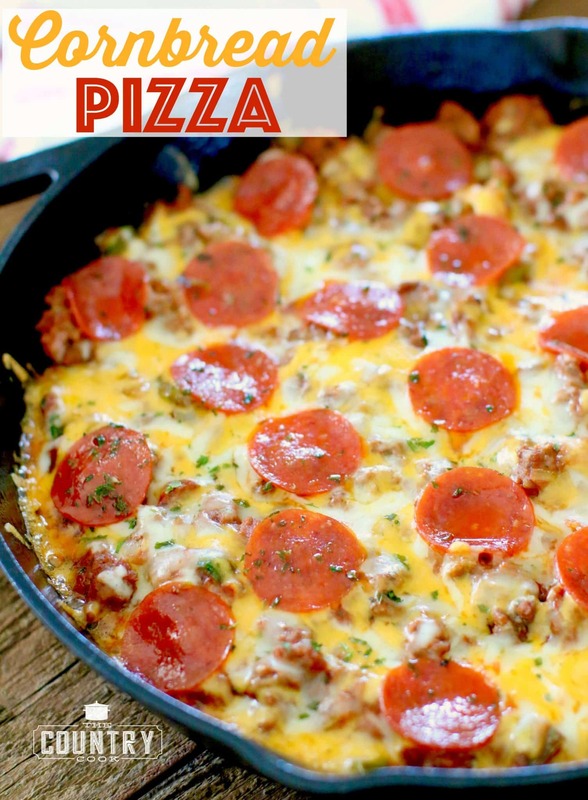 While you want to follow the full recipe below, it’s as easy as stirring in the ingredients and then popping it into the oven to bake! While you can use any pan for this, I LOVE using my cast iron pan. My grandma used it all the time growing up and it’s one thing I’ve stuck to as well! Cornbread comes out so perfect when baked in the cast iron – it’s an absolute MUST if you don’t already! But if you don’t have cast iron, a springform pan or any 9-inch baking dish works perfectly as well. Before you get started, make sure to round up all your ingredients to make things nice and speedy in the kitchen! 😉 Preheat the oven to 350f degrees and lightly grease a 9 x 9 baking dish or use a springform pan. 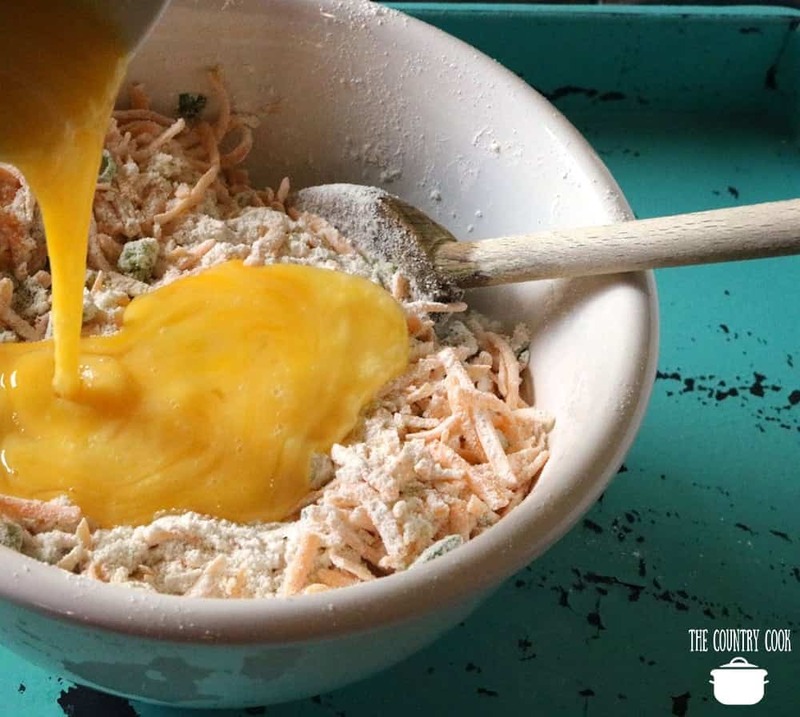 In a large mixing bowl, mix together the cornmeal, flour, cheese, green onions, green bell pepper, and canned green chili peppers until well blended. Stir in the eggs, creamed corn, and milk. Spread the batter out into the prepared pan. Bake in the oven for 1 hour, or until a toothpick comes out clean. Enjoy! 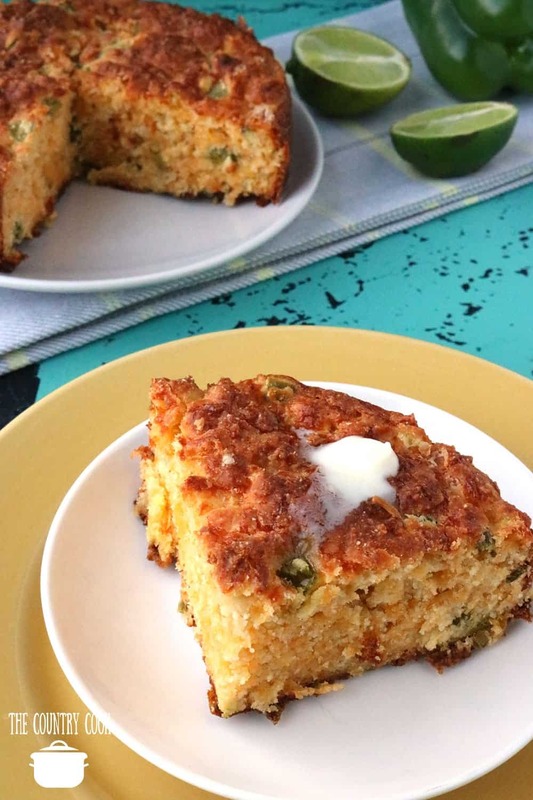 You are going to love this Mexican-Style Cornbread! Preheat the oven to 350f degrees and lightly grease a 9 x 9 baking dish or use a springform pan. 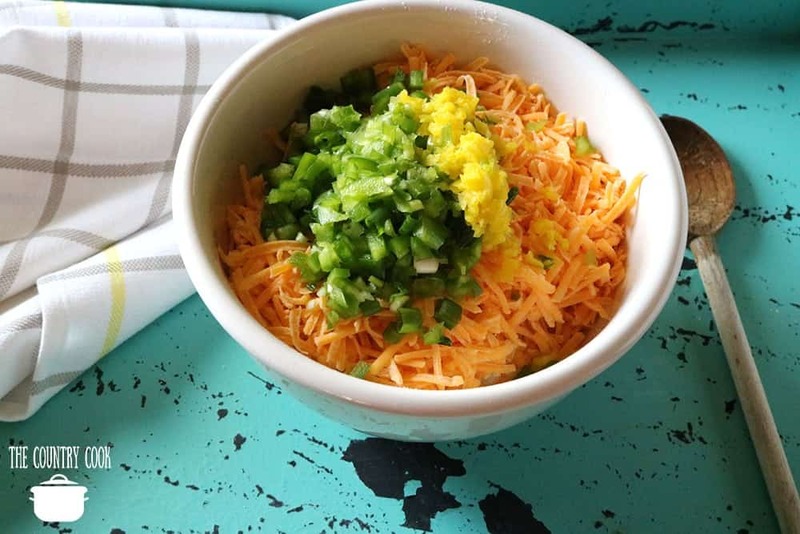 In a large mixing bowl, mix together the cornmeal, flour, cheese, green onions, green bell pepper, and canned green chili peppers until well blended. Bake in the oven for 1 hour, or until a toothpick comes out clean. Enjoy! I love the tip on the springform pan as an option. That is seriously the thickest cornbread that I’ve ever seen ~ so now that I’ve seen it, that’s my new cornbread height goals! It just looks amazing ~ can’t wait to try it! I have had this recipe for years but it’s called “Charlie Bread”… YuMMM! I put this on my menu for next week! Looks amazing. This is my favorite recipe website. 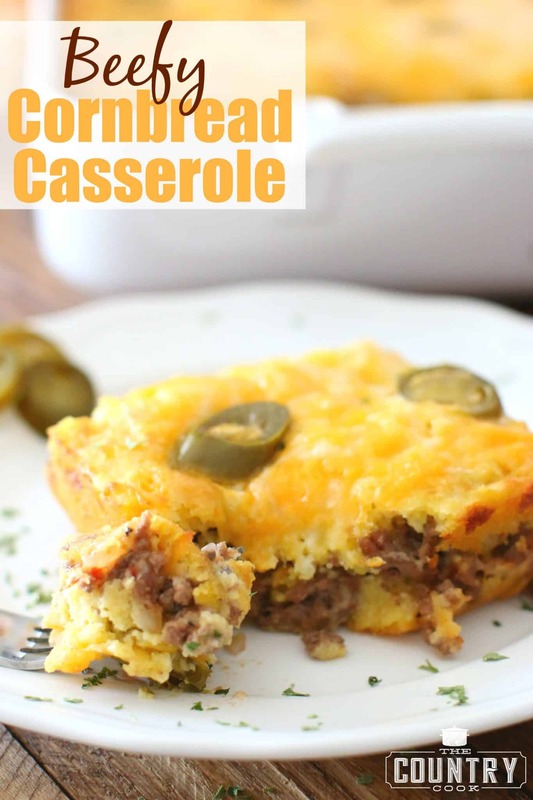 My Mexican cornbread is very similar…I just add a pound of ground beef which I’ve browned with a little onion, salt and pepper. Some people like to make this a layer in the middle but I loke to stir it in so every bite is complete. A great 1 pan supper.